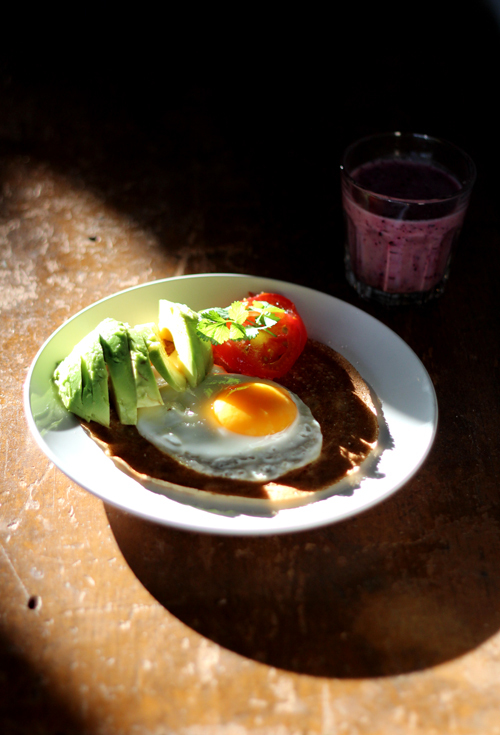 The healthiest pancakes ever, at least that I have made and they are very tasty as well. I make pancakes quite often. It´s a good way to start the morning with something healthy and a good way to give my little girl nutritious breakfast. I usually don´t follow a recipe. I just make something out of what I have but I use almost always oat meal or barley, a yogurt with Lactobacillus acidophilus and Bifidobacterium (AB milk) and wheat germ. If you need to make a food more nutritious it´s a clever thing to use wheat germ. It is mild in taste and works well in a pancake mix for example, it makes classic white flour American pancakes a lot healthier and you don´t taste the difference. The good thing about pancake batter is that you can use so many things to make them, oat meal, rice, barley, all kinds of flour, milk, buttermilk or yogurt, wheat germs and all kinds of seeds. When I do few for breakfast I use about 1 egg, 1 teaspoon salt, 1 cup of dry ingredients and half a cup of wet ingredients and a tablespoon or two of oil or butter. 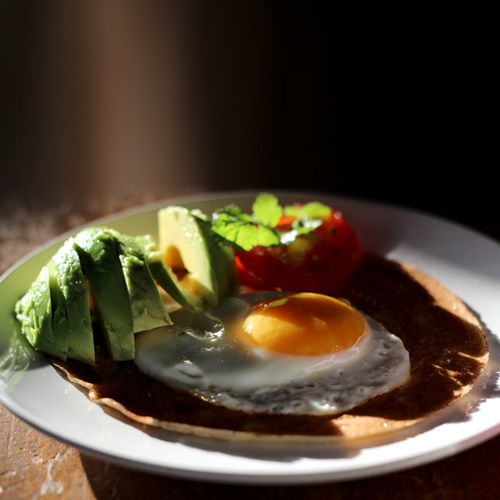 I usually fry an egg, over easy with a little runny yolk with the pancakes and if I have an avocado that´s the best. Once in a while I have a liiiittle bit of bacon with it all. 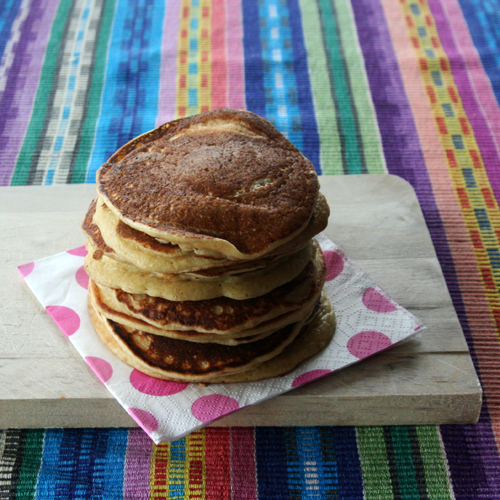 This is a recipe for a super duper healthy pancakes. They are very good. Make them and cook them like you would do with the American type of pancakes. Put everything but the water in a bowl and mix well together. Add the water until you are happy with the batter, more if you like it thin, less if thicker. Every morning I make a smoothie, usually AB milk, banana, blueberries and little bit of fresh orange juice. It goes very well with the pancakes.